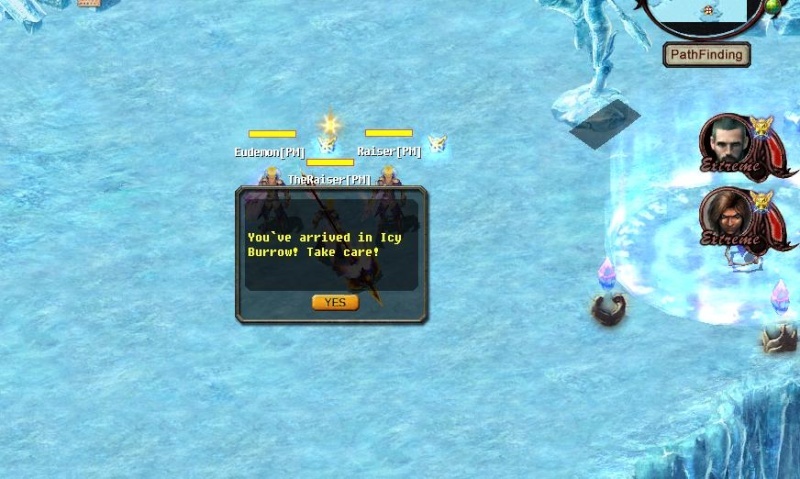 Special Frozen Burrow Quest. This quest you only can found on Raiser Eudemon Online!! Rewards : BloodPack,JunPack,CasonPack,GreenOrb,DarkOrb,BlueOrb,RedOrb and a lot of other items. 1. Kill 3 Elite Bump and enter the portal to kill Scorpion Oberon, you will get a Fury Crystal. 5. 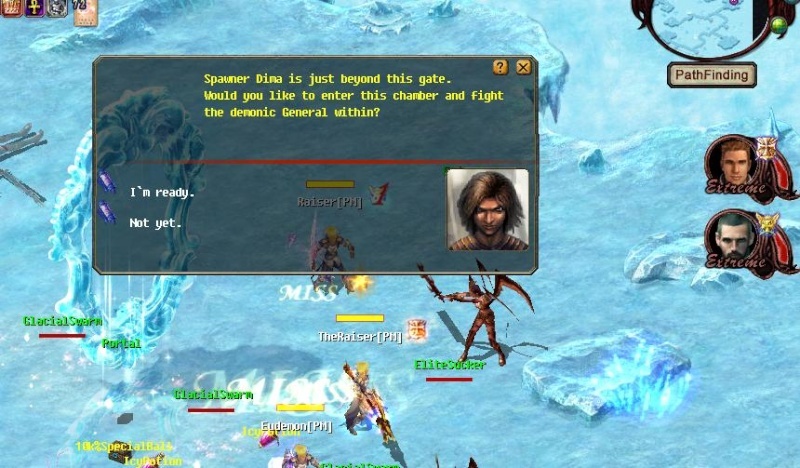 Kill 3 Elite Blood Suckers and enter the portal to kill Spawner Dima, you will get a bottle of Spawner Blood. 6. Activate the 4 locks and go into the deepest burrow to kill Hive Queen Deborah. There is a small island to the northeast of Cronus. The ground of the island is covered by snow, while a dark burrow hides underground - Frozen Burrow, which is the domain of Hive Queen Deborah. Lots of people went there looking for fame and treasure but most of them never came back. Before finding heading off, you can visit Dresden to take some commissions. 1 : This mission only can be participate 1 Team 1 time. If you already complete this quest, you can make again. 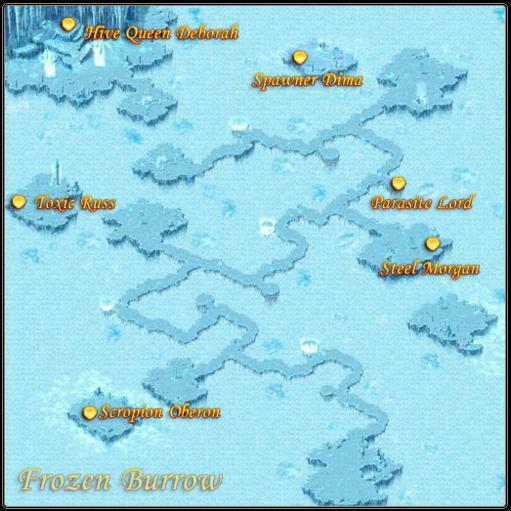 First, find Frozen Burrow Npc on cronus. 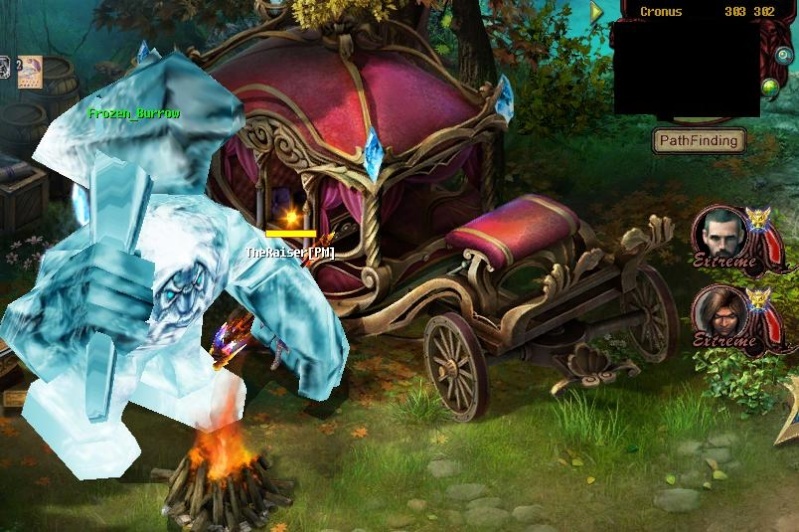 Talk on the Frozen Burrow npc to know about quest. 2 : Now you on the Frozen Burrow Quest. 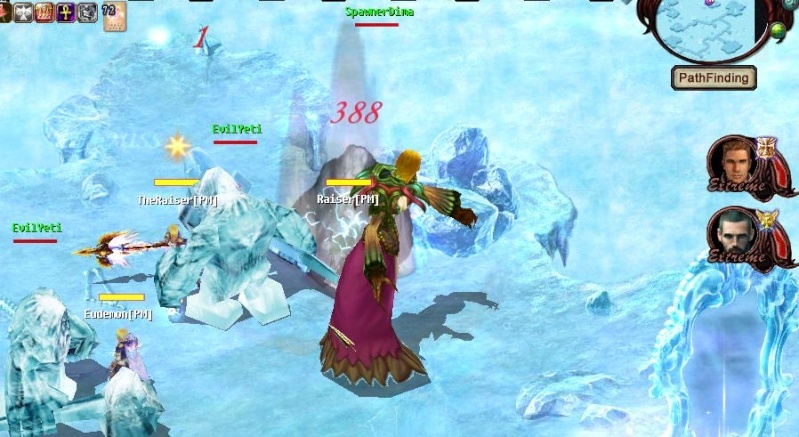 Kill Glacial Swarm how much you can. 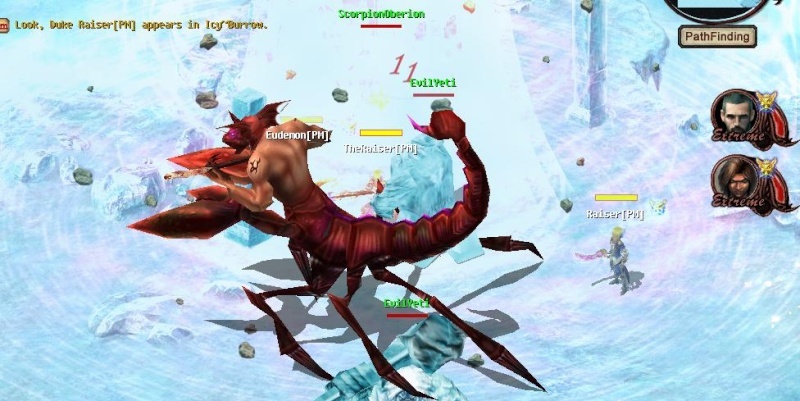 3 : Kill 3 Elite Bump and enter the portal to kill Scorpion Oberon, you will get a Fury Crystal, which is used to open the East Lock. 4 : After you killed Scorpion Oberon, find the 2nd bosses zone. Be careful with trap attack on the ground! The trap can make your HP low! Flame Cannons are on your way to find Toxic Russ. Run as fast as you can and maintain your HP levels. 5 : Kill 3 Elite Ergates and enter the portal to kill Toxic Russ, you will get a Toxic Crystal in your inventory, which is used to open the West Lock. 6 : After you get Toxic Crystal, out from the 2nd zone. Run again to get through the blizzard as soon as possible, then you will reach the burrow of Steel Morgan. 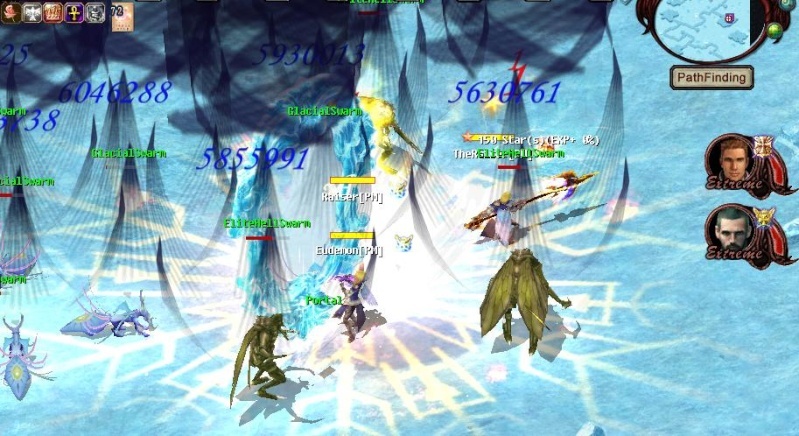 7 : Kill 3 Elite Swarms outside the portal, after killed enter the portal to fight Steel Morgan. 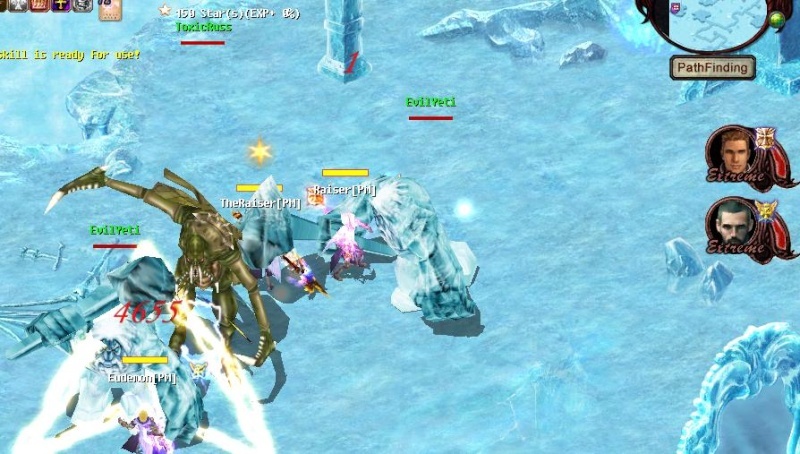 8 : Spawner Dima, the most popular female worm in Frozen Burrow, is located near Hive Queen Deborah. 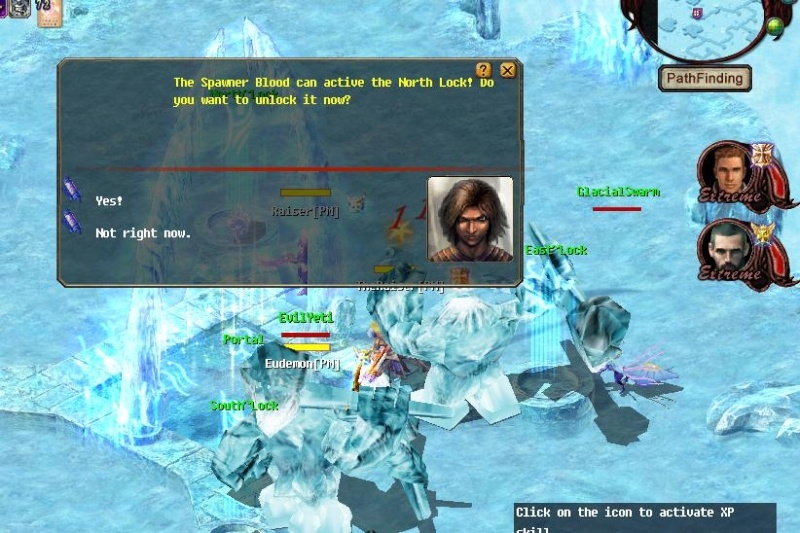 Kill all the Elite Blood Suckers outside her burrow and enter to kill her for her Spawner Blood, which is used to open the North Lock. 9 : Now find the portal to fight with Queen Deborah. Active all the lock to enter the portal. 10 : Now active the magical portal to summon Queen Deborah. Kill Queen Deborah to complete the quest. 11 : After killing Queen Deborah, it will drop a lot of items and pack prizes. Good Luck ! !